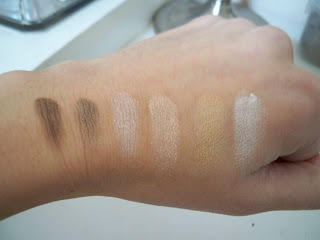 Left to Right: Dark Brown, Iced Mocha, Aloha, My Favorite Color, Sahara, Geisha. Left to Right, the same order as above. Aren't they pretty, pretty? The last four are great all-over lid colors! I also like the looks of My Favorite Color! yay for neutrals!! 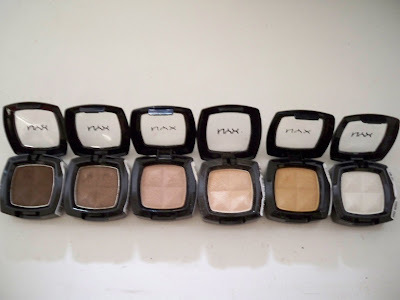 I actually quite like NYX eyeshadows, good quality for your money. wow these seem amazing dupes for mac!